Bristol VA | Abingdon VA, Bristol VA, and Bristol TN Area Real Estate :: Highlands Realty, Inc.
Beautiful scenery, arts & culture and entertainment help to make Bristol “a good place to live”. Bristol is a convenient place to live being a center of a five-state area with excellent transportation connections. The Tri-Cities Regional Airport in neighboring Blountville, TN provides air travel in and out of the area. Bristol’s location in the Blue Ridge Mountains provides a variety of country or city settings for living. This city offers many musical influences being known as “The Birthplace of Country Music.” Downtown along iconic State Street, you will find country music murals and monuments as well as the Birthplace of Country Music Museum. A major city along The Crooked Road: Virginia’s Heritage Music Trail, Bristol is an ideal location for anyone who appreciates music. Bristol is able to maintain a small city charm while offering big city conveniences. The median home price in Bristol, VA is approximately $109,100. The cost of living is 19% lower than the Virginia average and 13% lower than the national average. The area’s lower cost of living and variety of opportunities to enjoy the outdoors make Bristol a top pick for calling the area home. Bristol, VA is known as the Birthplace of Country Music, so you find the musical heritage throughout the city including a museum to highlight these strong musical ties. The Birthplace of Country Music located Downtown is great for music fans and history buffs alike. The museum is an affiliate of the Smithsonian Institution and is a 2-level building filled with exhibits to showing Bristol’s musical legacy. Receiving numerous awards, makes it a must-see on your visit to Bristol or a great spot to enjoy a day out with family. A popular annual event in Downtown Bristol is the Bristol Rhythm and Roots Reunion. This weekend festival generally hosts over 130 bands on 20 stages setup in Downtown. The event takes place the 3rd weekend in September each year and offers many activities for everyone. It is a local tradition for many residents to enjoy great music, food, and shopping local craft vendors and local shops. If you’re a music fan, you’ll be glad to save the date for Bristol Rhythm and Roots Reunion year after year. Bristol Station Brewery & Pub – Located in the old Greyhound Bus Station in Downtown. It has a 10 barrel brewing system with is the largest in the local area. You will love the many events that they offer including Thursday night Trivia or Friday night SINGO! Studio Brew- Visiting the Studio Brew taproom in Downtown will allow you to enjoy something new each time with new offerings or specialties being added. It is one of the best spot to have a night out with friends and enjoy some great drinks and food and great local bands. State Street Brewing- Opening soon on State St. The company will be brewing enjoyable, flavorful, and unique beers. They are inspired be a destination for the community and visitors to enjoy quality craft beer. Lost State Distilling- Coming soon to State St. (with renovation of the old Bristol and Supply Co. building) the facility will work to bring Craft Gin, Rum, and Small Batch Tennessee Whiskey to the region. In addition to production and storage space, the building will offer a tasting room and event space. It is exciting to see the revitalization of Downtown! Bristol Virginia Public School System includes 4 elementary schools, a middle school, and a high school with a center for technology. Bristol offers small town charm with access to big city conveniences. The areas landscape of mountains, streams, and lakes allowing for many outdoor activities and opportunities to relax with the natural beauty of the area. 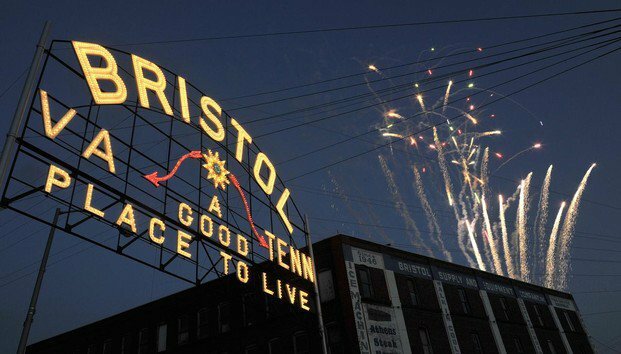 Whether you’re shopping for unique finds from local Downtown shops or the Farmers’ Market, enjoying local southern cuisine, or enjoying music from local bands you will feel at home in Bristol.